If you’ve taken the time to setup a RAID array, you are likely already familiar with the benefits of distributing data across multiple drives. But what happens when something goes wrong. Because the user-defined parameters can vary based upon the type of RAID implementation you have selected, you have traditionally needed to keep track of these settings to have any hope of recovering data from corrupted drives. In addition to having to administer the drives properly, you have to understand the nuances of different RAID implementations to be able to recover files that may have become inaccessible. Thankfully there is software available to assist users in dealing with these types of issues. What happens when your iTunes server on your network attached storage device can’t find files? Placing files on a NAS is an easy way to simplify file/media sharing, but when one of the drives in your NAS goes down, what do you do? 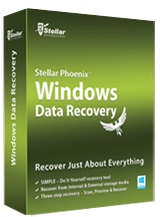 Turn to software like Stellar Phoenix RAID Recovery to help you restore the affected drive, or at least retrieve the data. Stella Phoenix RAID Recovery can retrieve data from any RAID 0, RAID 5, or RAID 6 implementation. Check the health of your drive before it causes problems. By periodically checking the vital statistics of your RAID drives, you can prevent problems before they arise. Stellar Phoenix RAID Recovery makes verifying the health of your drives a snap. Retrieve data from your RAID drives even if they are suffering from bad sectors. If you’ve ever tried to retrieve files from a drive with bad sectors, you know the risk of the drive completely crashing mid-process. Using software like Stellar Phoenix RAID Recovery allows users to make an image of the damaged drive, and complete the restoration of files from the image. This mitigates the risk of the drive crashing during restoration. How do you restore data from a RAID array half a world away? Thankfully the answer doesn’t involve dealing with the TSA or being crammed in economy class on a 12 hour flight. Using remote administration software like the client that comes with Stellar Phoenix RAID Recovery lets you remotely administer the recovery of data without having to go on site. If both devices are connected to a network, you can run the necessary routines to retrieve your data! Recover Data from Hardware and Software RAID devices – Stellar Phoenix RAID Recovery supports recovery from RAID 0, 5, & 6 hardware based RAID arrays, and RAID 0 & 6 software based arrays. Monitor the Status and Health of Your RAID Drives – It has never been easier to check the status of individual RAID drives and spot problems before they become major issues, thanks to Stellar Phoenix RAID Recovery. Corrupt Optical Drives Pose No Problem – When you use Stella Phoenix RAID Recovery, retrieving data from CDs, DVDs, HD DVDs, or Blu-ray discs is a simple task. Remotely Administer Your Data Recovery – Stellar Phoenix RAID Recovery makes it simple to restore a drive from remote locations so long as you have a network connection. 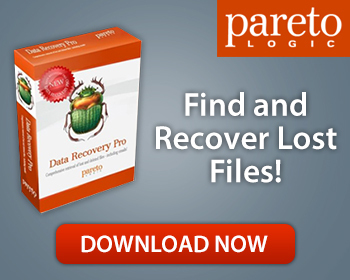 Retrieve Your Missing or Corrupt Data Today! If you care enough about your data to protect it with a RAID implementation, you already know how valuable your data is. When a sector in one of your drives inevitably goes bad, or data gets corrupted, you need the best tools available to ensure you can quickly and accurately recover your files. Stellar Phoenix RAID Recovery makes remote or local monitoring, repair, and recovery of data from RAID 0, RAID 5, & Raid 6 drives a snap. With so much already invested into protecting your data, you owe it to yourself to have the best software available to restore corrupted data from your RAID implementation. Download Stellar Phoenix RAID Recovery today to ensure you’ll be able to access your data for years to come!